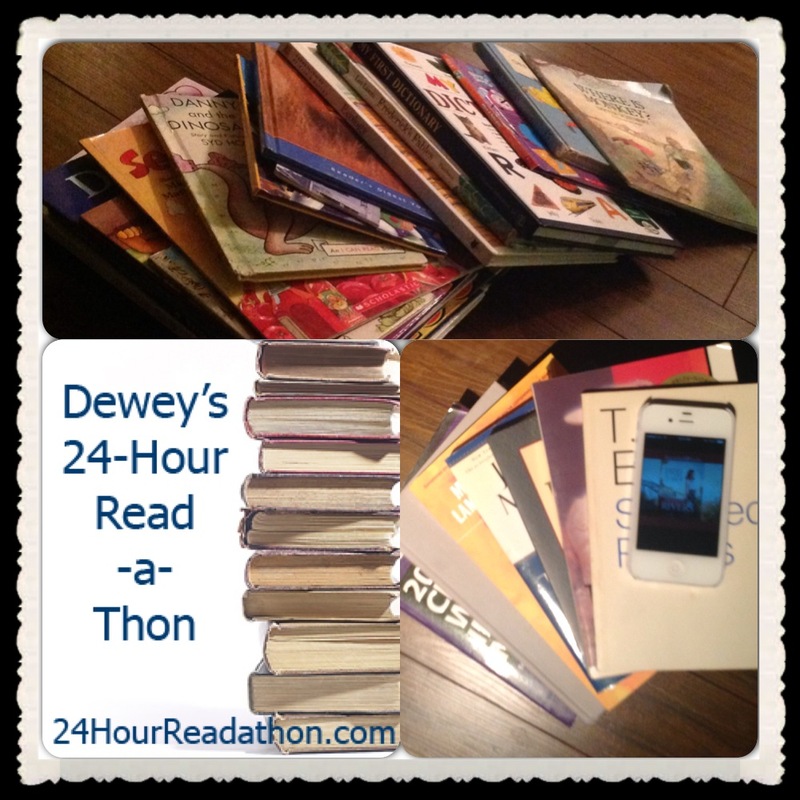 I am VERY late to the party, but being a newbie book blogger I just caught wind of a really cool event happening this Saturday, April 26th: The Dewey 24 Hour Read-a-thon! Needless to say, I will definitely participate… what better excuse to spend much of an entire day reading than raising money for charity? Oh and obviously all I really need is the pleasure of an interesting book, but for charity is extra motivating! Since my son, Gavyn, loves to read too, he is excited to participate. He just turned six, and is probably a Grade 2 or so reading level, so we are going to get him going on a nice stack of books for as long as they can hold his attention. What a blessing to be able to do this alongside him! When I told Gavyn that we would be raising money to give to a charity, he thought it would be a great idea to give money towards summer soccer camp scholarships in a downtown Vancouver program called Kickers Soccer Camp. He is looking forward to attending the camp in July, and is stoked to help some other kid or kids go too. Instead of running the fundraiser for only the 24 hours, I am going to run it from the publish time of this post until 5am Pacific time on Sunday morning, April 27th. So go ahead and start the fun! This entry was posted in Prompts and Challenges and tagged 24, charity, Dewey, Fundraiser, Read-a-thon, Readathon, reading. Bookmark the permalink. I love that you’re reading with your son. I’ve been following your progress on Twitter. Hope you are having fun and staying motivated. Good luck with your reading! I loved doing the challenge during the Dewey Readathon. I sent out copies of The Twelfth Child to everyone who commented so if you didn’t get yours let me know! We are a site about everything to do with books and reading. Located in the Vancouver area, Canada, we are excited to build a community for all book lovers, particularly making sure to include and be relevant to Canadians.